Is it Time to Get a Global Virtual Number for Lithuania? Whether you use the number for a month, a year, or many years is completely up to you, the service is month-to-month. If you interact with people in Lithuania on a regular basis, it may be time to simplify communications by ordering a global virtual number. 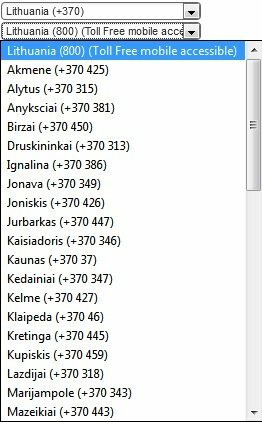 Lithuania numbers that your contacts can dial within their country appear to be like any other local or toll free numbers they use. However, since these numbers are actually global virtual phone numbers, their calls will be forwarded to the phone of your choice — anywhere in the world. Here’s what you need to know about using global virtual phone numbers in Lithuania. Why Get Global Virtual Numbers in the First Place? Virtual phone numbers take international dialing out of the equation. For example, if your business serves customers in Lithuania, having a local phone presence is reassuring to them. There’s no need for them to worry about how to reach a company located in another country — or question the potential cost of making such a phone call. If you want to further reassure your customers, you can provide toll free virtual phone numbers. The toll free number will be local to Lithuania, yet the calls will be sent to your office in another country. Our global virtual numbers include a variety of features that give you greater control over how you can be reached. Global virtual numbers are not tied to a single phone line. You can change the “ring to” number as needed. For example, you may want calls to go to your main office most of the time. However, on the weekends, it may be advantageous to route the Lithuania calls to your mobile phone. This is easy to do with our online account management tools. Likewise, you can set up your Lithuania call forwarding to automatically change the destination phone number based on the time of day. Getting a virtual phone number in Lithuania is easier than you may realize, even if you only need one for a short time period. Our contract-free global virtual phone numbers are offered month-to-month, allowing you to get a Lithuania virtual number for both short-term and long-term needs. Whether you use the number for a month, a year, or many years is completely up to you. No matter which term is best for you, you’ll find that our advanced technology and features, superior audio quality, and competitive rates are among the best you’ll find. Our plans can shrink or expand as your needs change, too. Is it time to get a Lithuania virtual phone number? 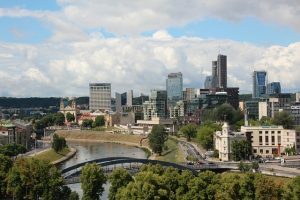 Author 1118-signalPosted on February 21, 2017 February 21, 2017 Categories Virtual Number LithuaniaTags call forwarding Lithuania1 Comment on Is it Time to Get a Global Virtual Number for Lithuania?